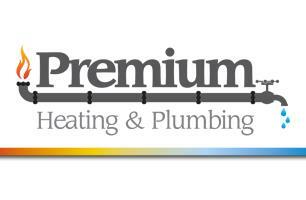 Premium Heating & Plumbing Ltd - Bathrooms, Central Heating Engineer, Plumber based in Stoneleigh, Warwickshire. Our well built company are highly experienced on all counts of Heating and Plumbing. We have a great reputation with previous customers because of our high working standards and high technical ability we pride ourselves in keeping this. Why you should use us!! We have Appeared in Specialists Heating Magazines for our work and reviews. We are Worcester accredited and can offer a longer Guarantee than most other companies. Just Look at all our Reviews!!! * boiler servicing and boiler * repairs * landlords certificates * Heating systems and all aspects of plumbing from *taps to full bathroom renovations. We are a specialist in under floor heating systems and have vast experience in this field. We are a trustworthy local company with great time keeping and pride ourselves on leaving our jobs with a happy customer. Please take a look at our pictures and see some of our work. * * We are Accredited installers for Worcester Bosch and can offer a longer guarantee then most for our customers on new boilers.